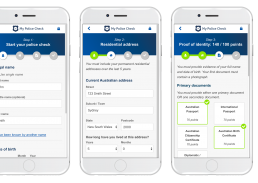 My Police Check is powered by InfoTrack, an accredited Australian Criminal Intelligence Commission’s (ACIC) National Police Checking Service (NPCS) provider, to submit 100% online police checks. You simply complete our online form, upload your identification documents and await for the police clearance certificate to be emailed to you. 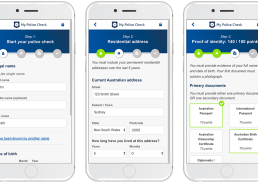 My Police Check is available across all Australian states: New South Wales, Victoria, Queensland, Northern Territory, Western Australia, South Australia, Tasmania and Australian Capital Territory. My Police Check also offers business solutions that will allow your organisation to process police checks more efficiently, with all the costs captured in a single invoice. Why use My Police Check in TAS? We understand the need for a fast turnaround. The majority of police checks (70%) are returned within an hour. 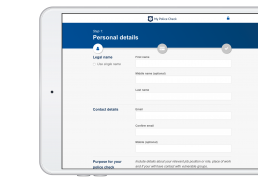 Whether you're on your mobile, tablet or computer, My Police Check provides a seamless ordering experience. We are powered by InfoTrack, an Australian Criminal Intelligence Commission (ACIC) accredited provider of national police checks. Complete a police check without creating an account. Simply fill out the form and we will email you the result. My Police Check is a secure online platform for conducting police checks. You can now order a police check in four simple steps.